YC-02 mini uht sterilizer is manufactured for simulating industrial manufacture and research in laboratory, completely duplication the industrial production, which is adaptive to wide ranges of viscidity, and be same with preparation of fibers and granules, precisely mimic prepare, homogenizing, aging, pasteurism, fast sterilization under ultra-temperature and aseptic filling. The whole system is integrated with the CIP and SIP online, which can be configured optionally a homogeniser and a aseptic filling cabinet on your needs. Such as beverage, fruit juice, fresh milk, yogurt, tea, sauce dressings, soups and so on. 1. Capacity of material processing :20 L per hour (Highly available by your demand). 2. Heating to 150 ℃ at the flow rates stated. 3. Cooling to below 5 ℃ at the flow rates stated. 5. 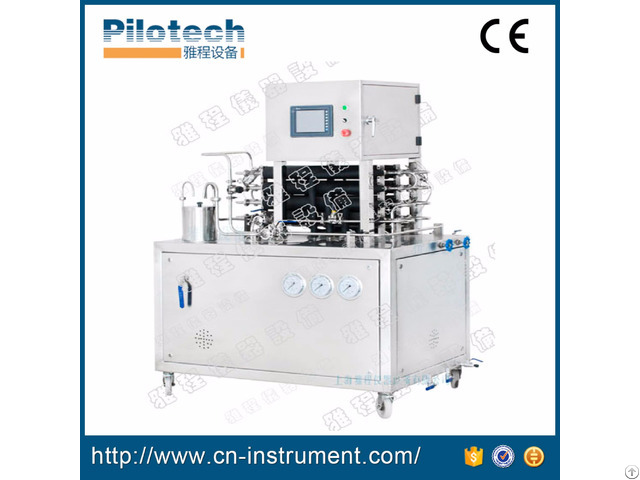 PLC controller, 8 inch LCD touch screen, two modes of run: Automatic-mode, and Eye-monitored mode for the purpose of easily controlling experimental process . 8. Product system pressures to 10 bar. 9. SIP (Sterilise In Place) an option for Aseptic sampling. 11. Outlet temp. adjustable by request. 12. Each heating section is individually controlled to enable a wide setting of product temperatures, the product is heated by pressurised hot water recirculators which are PID controlled for greater stability and accuracy(the precision of sterilizing temperature is ±0.5℃) . The cooling is in 1 or 2 stages dependant on the final cooling temperature required. 13. 380 volt 3 phase, 50 or 60 Hz. (1)Tube preheating & sterilizing: to sterilize the tube by superheated water and last for some time, then chill out to normal temperature and stand by. (2) Material sterilizing: to ensure the sterilizing temp. & time according to experiment requirement(In line homogeniser can be added either upstream or downstream). (3) Aseptic filling: hot filling or normal temp. 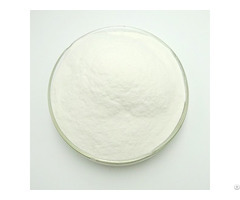 filling based on laboratory needs. Business Description: We, a manufacturing and trading company, produce and export lab spray dryer, UHT sterilizer and extractor equipment more than 10 years.